SUQQU Flawless Lip Gloss is new for SS2018. I am often pealed my lips by the lip colors. Suqqu is one of the brands, I can use without worry. 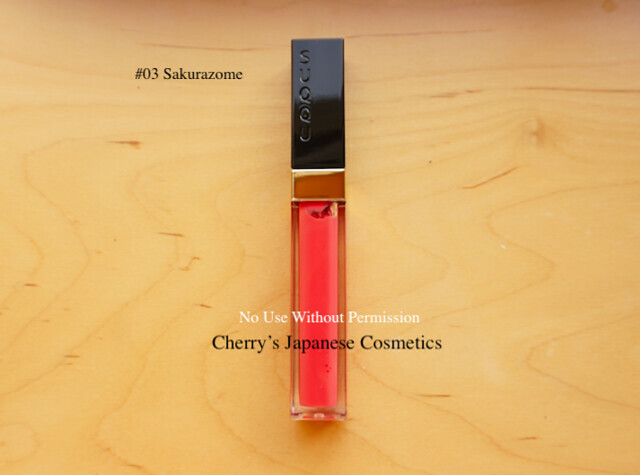 I was jumped to this new gloss, originally SUQQU served only one color/ transparent gloss, I did not use it. I often buy SUQQU, but this is my first SUQQU gloss. I bought one for myself, the color is #03 Sakurazome. Salmon Pink to Coral Pink are the color what I wanna have now. 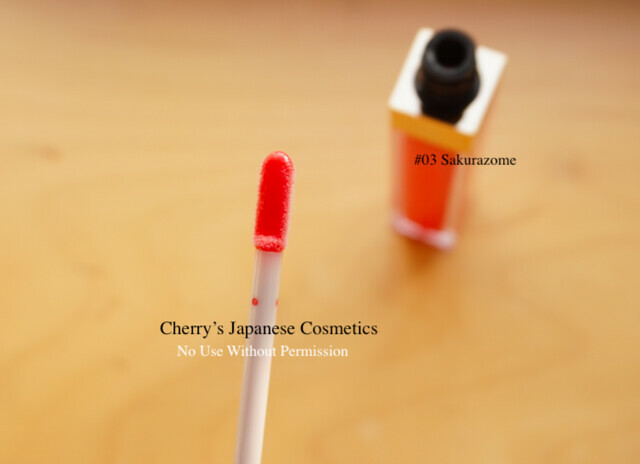 I bought #03 Sakurazome. Let me apply on my arm to show. I placed three times, buy it has no meaning simply want to show you the color. It is not a liquid lip, but simply a lip gloss. On my lips, there are less color to see. While I was wearing this gloss, my lips were not pealed. Indeed after I wiped off by tissue, I found my lips were dried. Originally my lip condition was not so much fine, simply fair as the season of Jan. I should better to wear something lip primers or lip balms to protect. 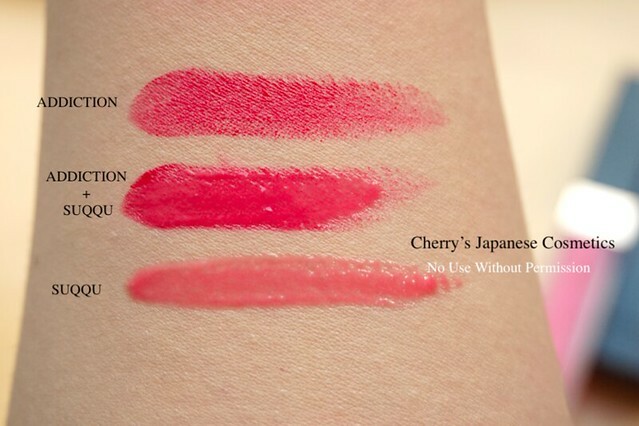 I also bought ADDICTION Lipstick Pure #001 Tokyo Story. I will tell you later bout this lipstick. ADDICTION Lipstick Pure is a kind of matte, aka no shining lipstick. I applied this SUQQU gloss on the ADDICTION. It is really matching, isn’t it?? Please check the latest price, and order from here: “SUQQU Flawless Lip Gloss”.